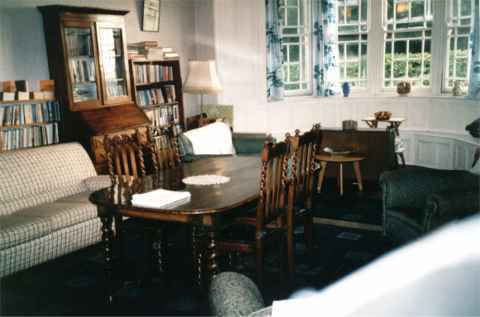 One morning Rees Howells came to pray in what is known as the blue room. The Holy Spirit sealed in his heart the vision that ‘every creature’ must hear the gospel. During the war years, over one hundred people gathered in this room every night to intercede for the defeat of Hitler and his allies. They believed God for freedom from this tyranny, so that world evangelisation could be achieved..